Isabella Efimov is a European Business student at the OTH Regensburg and successful founder of the start-up TUTnet. TUTnet is an online platform where socially and financially disadvantaged children receive free online private tutoring from students via Skype. Just like Isabella, many dream of revolutionising the market, launching a successful business, or simply the freedom of being their own boss. Yet for most these aspirations remain an unfulfilled dream. 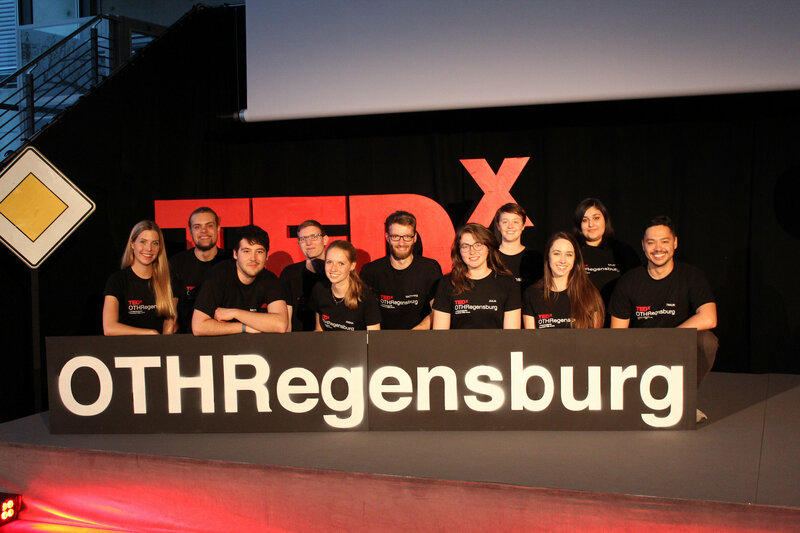 At the TEDxOTHRegensburg event, Isabella talks about five fears that almost stopped her from setting up her own business. Through charming anecdotes she encourages especially young people who consider becoming an entrepreneur themselves to dare to take the reins. Karina Nasyedkin is involved in the Germany-wide integration project “Our future. With you!”. Together with other students, she works restlessly to contribute to a fair society and successful integration for fugitives. As project manager, she and her motivated team design and organise project days for 4th and 5th graders. Their teaching concept promotes empathy and understanding in the face of the new and unknown. Manuel Burghardt is a lecturer and researcher in the Media Informatics Group at the University of Regensburg. His research is dedicated to a number of topics that range from the automatic analysis of texts, movies and songs to the investigation of digital culture and computer-mediated communication. In a recent project, Manuel investigates the interaction of Bavarian dialect and social media platforms such as Facebook. In his talk, he discusses whether it is possible to replace politicians with machines, and touches upon the wider implications of automation and machine-learning on humanity. Alvin has spent the last decade campaigning on issues of social justice, human rights, and public policy. Earlier this year he was listed on Forbes 30 under 30 EMEA for his work. In 2016 he founded The Fourth Group, a global community creating a new politics for the fourth industrial revolution. Vincent is co-initiator of the #Freeinterrail idea and the campaign of the same name, which plans to gift each adolescent in the EU with a coupon to an interrail-ticket at the date of his or her 18th birthday. Shortly after the first ever publication of the #freeinterrail idea in June 2015 it drew the attention of several European newspapers and institutions and just two months later they were allowed to present the idea to the vice president of the EU comission, Kristalina Georgieva. To build a health facility from local materials together with the population of Mondikolok David Kraler and Christoph Lachberger travelled to South Sudan when they still were architecture students. Over a period of three years, they became more and more familiar with the region and its inhabitants and discovered unimagined potentials for a contemporary, regionally rooted architecture – especially in the traditional building culture. The deliberate linking of the university knowledge acquired with the university knowledge with regional know-how resulted in a future-oriented building, as well as a knowledge transfer from which both sides were able to profit.